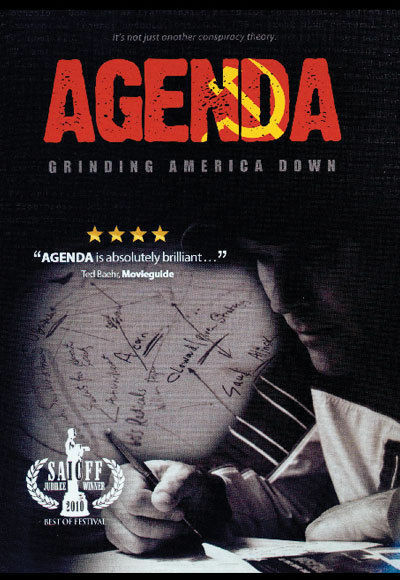 The documentary, Agenda: Grinding America Down (2010) by Curtis Bower, shows how the progressive changes in our society have being plotted to promote a socialist agenda. It displays how the socialists have infiltrated in the: Media, Education, Hollywood, Labor, Church, Non-profits and Government. With the sole intention of corrupting their values from inside out, and transform the American culture. As an Idaho Republican State Representative from District 10, Bower raised attention in 2008, when he wrote a letter1 to the editor of Idaho Press-Tribune, telling about how the communist agenda infiltrated America. It all started when he attended the 1972 Communist Party Convention in Berkley, California. Bower shakes some “strong beliefs” that most people hold as true, but are far from being that. By raising a few questions and answering them accordingly to the best knowledge available. Questions like: Is Communism dead? What is so bad about Communism? What is Communism? Why are they so against morality? One important strategy is the use of people to promote communism that are not communists as a matter of fact, what Lenin called the “useful idiots”. The communists now are identified as Progressists in order to look more appealing, modern and avoid the stigma that comes along with that name for most people. Not without a good reason for sure. There are many groups working towards the socialist’s goals and the most growing in influence in America are: The Fabian Socialists, The Frankfurt School, The Feminist Movement, Antonio Gramsci (Gramscianism) and the Communist Party USA. Below you can see how this groups work and influence culture in America, according do Bower’s view. 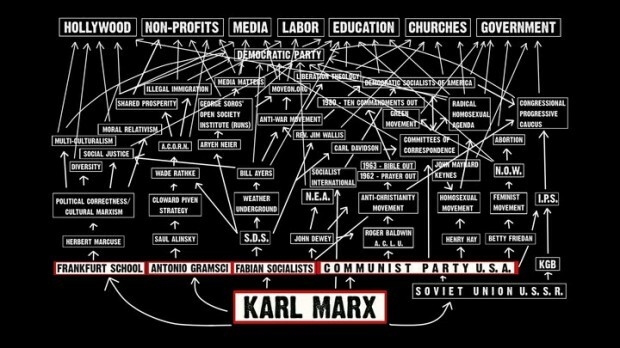 All this was laid out by Antonio Gramsci during his years of incarceration. The most serious about all this is how close to radical leftists such as Saul Alinsky and Rev. Jim Wallis, is President Barak Obama. Bower also suggests a couple of books that can deepen your understanding of Socialism and Communism and digress a little about them to make his case against the leftists. The other book is by William Z. Foster, Towards Soviet America. Here Foster lays out what is necessary to bring about a Soviet America. He was a Marxist, labor organizer, member of the Socialist Party of America, General Secretary of the Communist Party USA and the leader of the steel strike of 1919. When he died in 1961, in Moscow, the Soviet Union gave him a state funeral and the honor guards were headed by Khrushchev. This is a must see if you want to understand our society and take action to avoid a Communist America and a Socialist World.